Purification steps account for up to 80% of the manufacturing costs of most biological drugs. In the vaccine industry, purification processes are particularly complex as vaccines aim at protecting healthy people. Any contaminant must be removed via multiple elimination steps which comes at the expense of product recovery: yields are low, product costs are high. Technically, this is partly due to the lack of specific capture systems for “positive” separation of the vaccine from its environment. The EU co-funded DiViNe project will tackle these technical and cost issues with innovative nanotechnology-based answers, gathering the competencies of 6 partners from 5 different EU countries, coordinated by the Institute of Experimental Biology and Technology (Portugal). 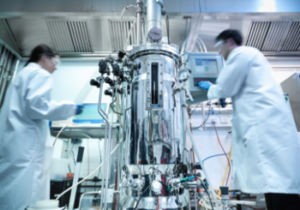 Merck Millipore (Germany) will develop Nanofitin®-based chromatographic materials and GSK Vaccines (Italy) will provide vaccines for purification. Through such demonstration on vaccines, the DiViNe consortium will establish a sustainable platform to design affordable, industry-compliant and environment-friendly purification processes for other complex biological drugs, such as recombinant proteins and blood products. The first family of vaccines explored in this project being the glycoconjugates vaccines, Nanofitins® directed against CRM197 (carrier protein for glycoconjugates vaccines) have been discovered, identified, characterized and successfully conjugated to resin. Dynamic binding experiments have been realized and some results have been presented at the World Vaccines Congress Europe in Lisbon on October 31st 2018.